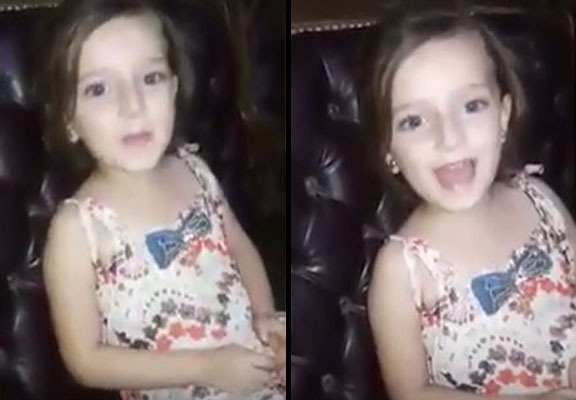 In another example of the sheer barbarity of the war in Syria, a video has emerged of a little girl singing before a bomb explodes behind her. The young child sings happily to the camera before a bomb rocks the building, that’s when she’s picked up and moved to another room. It remains unknown if anyone was hurt during the bombing. 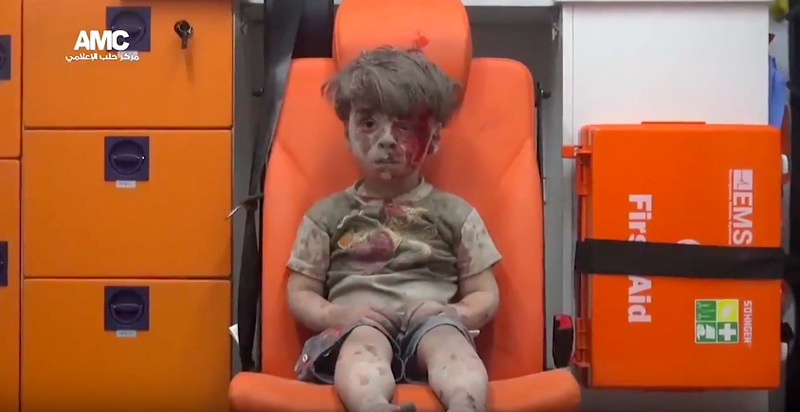 This harrowing clip comes only days after footage of five-year-old Omar Daqneesh shocked the world, after he was rescued from a building hit during an airstrike. It showed him being pulled from the rubble and placed in an ambulance after the airstrike, with this photograph, which has been shared thousands of times on social media, capturing just a fragment of the horrors in Aleppo. 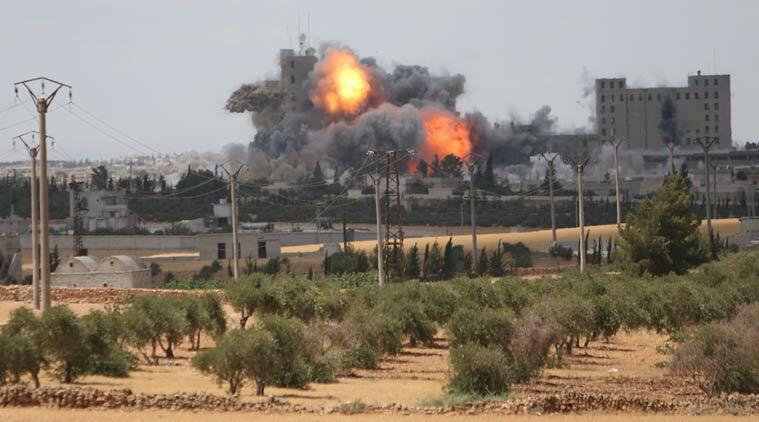 Yesterday, UN officials urged co-operative action to prevent a ‘catastrophe’ taking place in the Syrian city. They added that a temporary ceasefire is much needed, so trucks loaded with humanitarian aid can reach an estimated 275,000 people who need food and water. This callous carnage that is Syria has long since moved from the cynical to the sinful. In Aleppo, we risk seeing a humanitarian catastrophe unparalleled in the over five years of bloodshed and carnage in the Syrian conflict. Sadly, this video won’t be the last to remind us of this brutal war and there will no doubt be more airstrikes to ruin the lives of countless more families across the war-torn country.